Dallas Mavericks fans feel the team's mid-season blockbuster trade for Rajon Rondo may not have been a very wise move with coach Rick Carlisle saying he does not expect the mercurial point guard to play another game for the team after suffering a back injury. Obviously fans are unhappy with Rondo, who has averaged 9.3 points, 6.5 assists, and 4.5 rebounds a game since joining the team from Boston, and one fan has put his distaste for the benched Maverick into song. SBNation reports that J. Paul Slavens debuted "Rajon Rondo is the Worst" on Wednesday night at Live Oak Music Hall in Fort Worth, Texas, and it is pretty impressive, for a song about hating a basketball player. Back when the team first acquired Rondo, fans were singing a very different tune, as the former Celtics point guard inspired a glowing parody of Taylor Swift's hit "Blank Space" back in December. 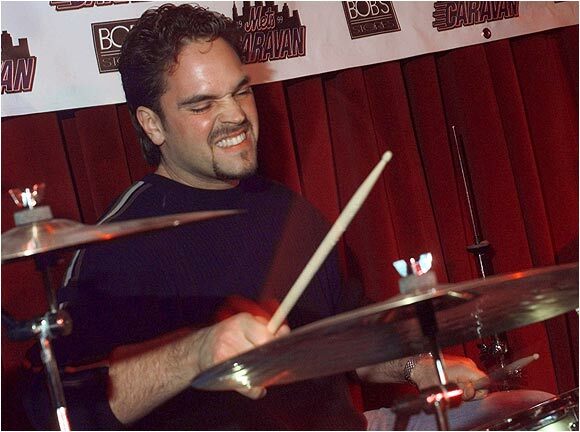 Mike Piazza cuts loose on the drums with the "Bogmen" in New York. He and his then Mets teammates were making an appearance for the Make-A-Wish Foundation. At a concert for the cast members of "Desperate Housewives," Cincinnati Reds starter Bronson Arroyo showcases a voice as enchanting as his off-speed stuff. 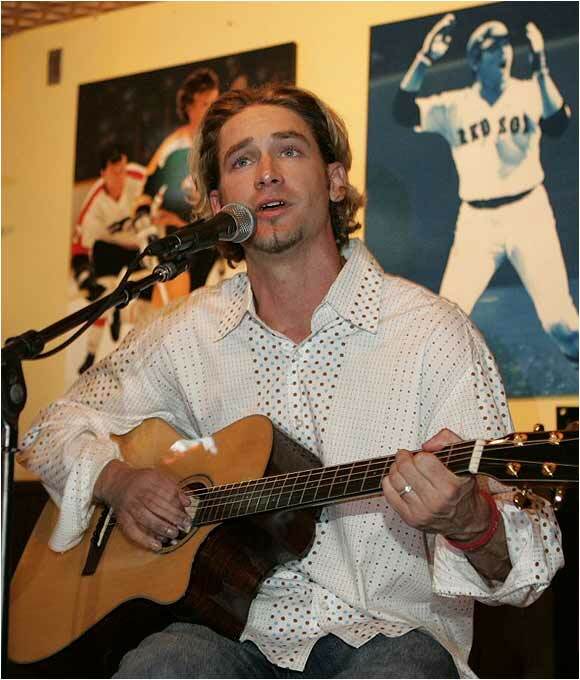 Arroyo, who once lent vocals to the Dropkick Murphys, taught former teammate Kevin Millar how to play the guitar. Pel&#233; opens the premiere of Maradona's television show, "La Noche del 10," in Buenos Aires. 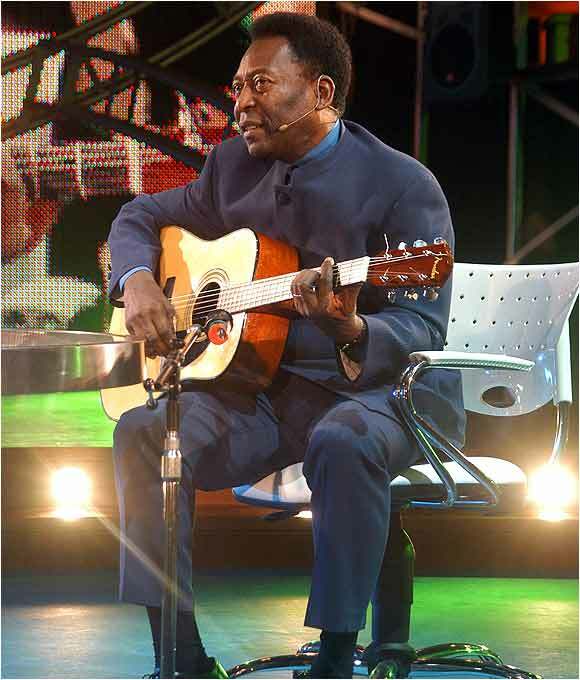 The soccer god both sang and played the guitar. 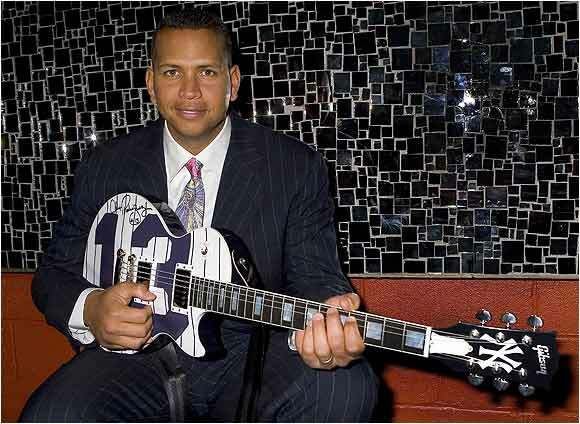 Yankees superstar Alex Rodriguez poses with a new custom Gibson guitar at a party at Pascha nightclub thrown by Gotham Magazine. The one-of-a-kind ax would later be auctioned off for charity. 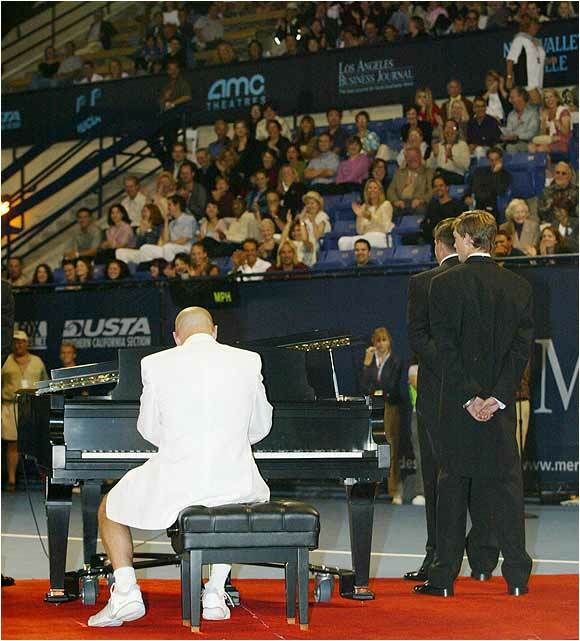 At the "Night at the Net" benefit, held before the Mercedes-Benz Cup in Los Angeles, Andre Agassi excites the crowd by showing off his piano skills. 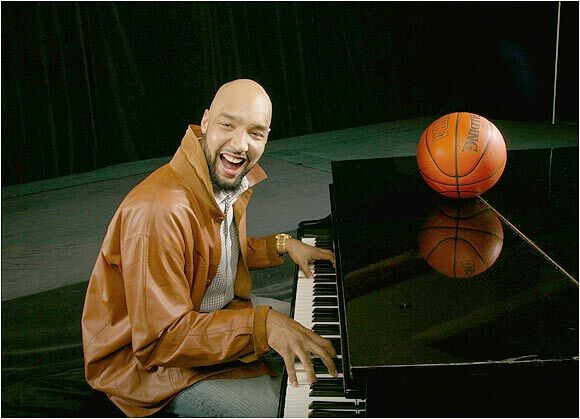 Cleveland Cavaliers forward Drew Gooden regales a crowd by tickling the ivories at the Four Seasons Hotel in Washington, D.C., last February. 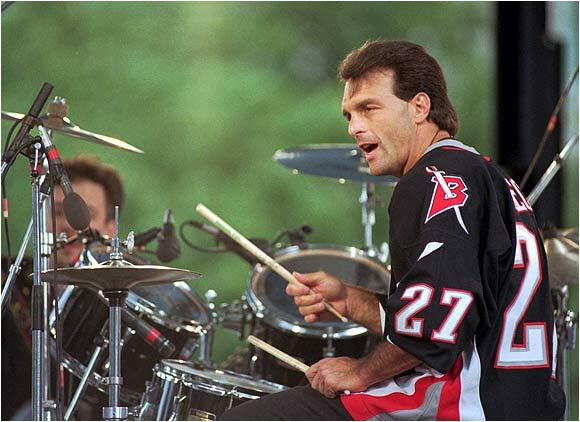 Doug Flutie is many things: a quarterback, a drop-kick field goal artist and -- as you can tell -- a drummer. Here he plays with the Flutie Brothers Band in Buffalo. Notorious NHL tough guy Darren McCarty wears a Calgary Flames jersey on the ice, but this is his offseason uniform. 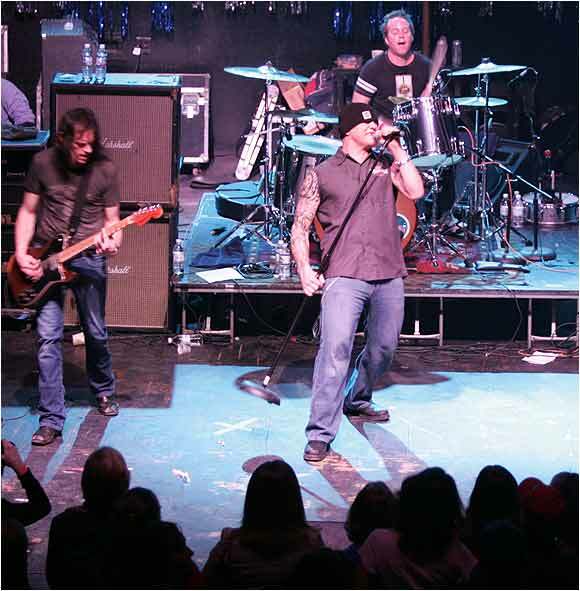 Here he performs with his band, Grinder, in Michigan's Emerald Theater. 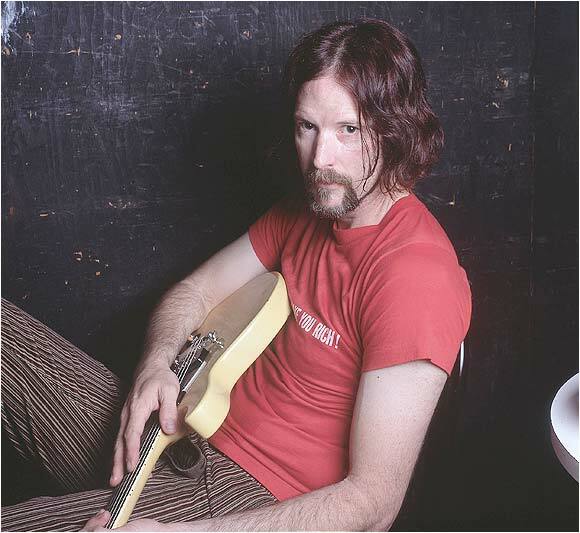 Former Cy Young winner Jack McDowell excelled on the mound, and in his free time "Black Jack" moonlighted with alternative rock bands. Now he's a musician with the band Stickfigure. 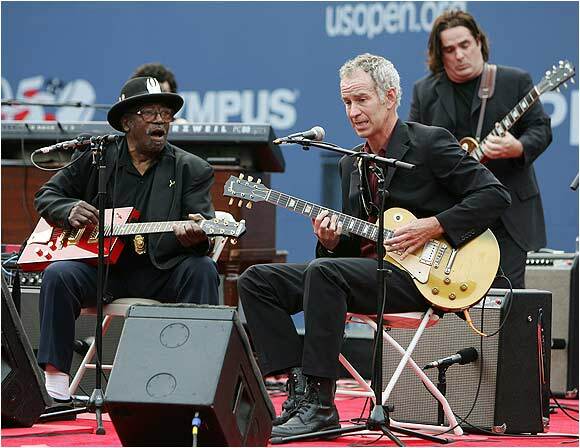 Tennis legend John McEnroe displays a different set of skills at the U.S. Open, joining Bo Diddley on guitar before the U.S. Open in 2005. Ravens defensive tackle Trevor Pryce may seem like a behemoth on the gridiron (he is 6-foot-5 and weighs 286 pounds), but he has a soft touch in the studio. 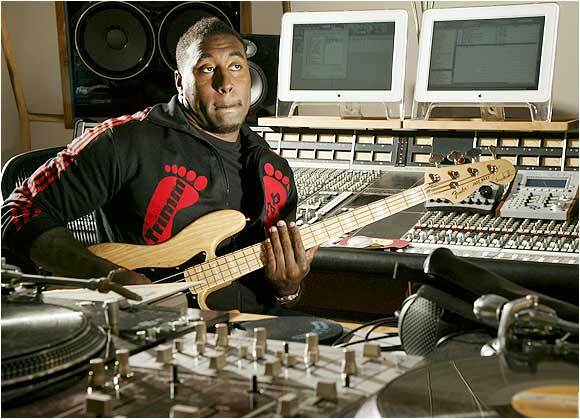 He owns the independent music label Outlook Music. Randy Johnson serenades the Arizona faithful after notching the 3,000th strikeout of his career. 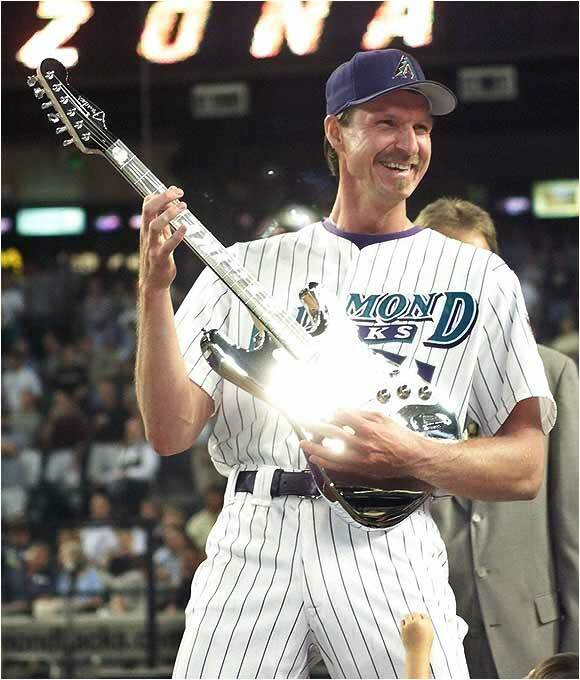 The Diamondbacks honored the Big Unit in a ceremony in which he received a special-edition Fender guitar.